We are here with very important discussion about SSC CGL exam. You will get answers about multiple queries for SSC CGL exam including CGL 2018 vacancy. 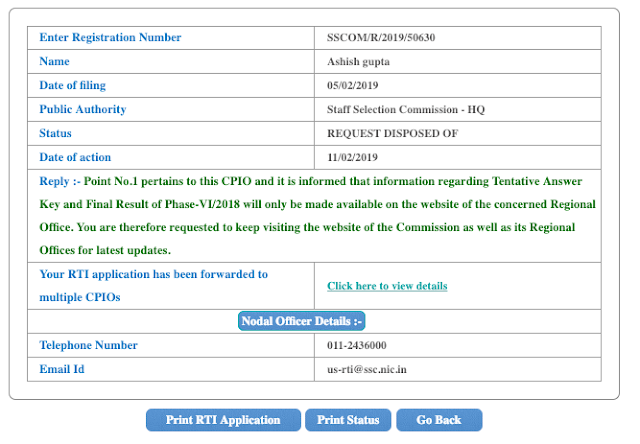 Here is the RTI reply regarding CGL Multiple queries. 1. please provide master question paper along with keys for the SSC Selection post phase VI exam 2018 for Matric, Graduation and Intermediate level. 2. please provide information whether the examination interface or software will be changed for CGL 2018 Tier 1 exam as vendor changed.